FLSA Overtime Rule Changes Are Coming Sooner Than Expected | Kalijarvi, Chuzi, Newman & Fitch, P.C. Brace yourselves. The Department of Labor’s final rule revising overtime exemption regulations is coming sooner than expected. On March 14, 2016, DOL sent the final rule to the White House Office of Management and Budget. This is the final step before the rule is published. Because OMB review typically takes one to two months, the final rule could be released in April or May 2016. Previously, the final rule was not expected until July 2016. 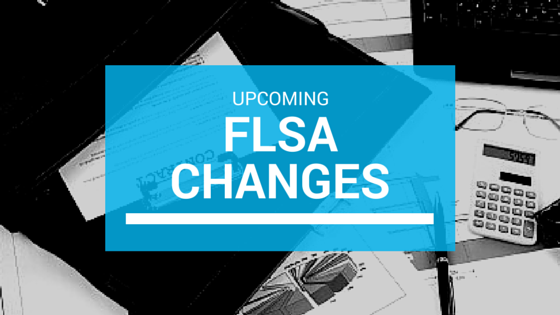 These changes will dramatically expand the number of employees entitled to overtime pay under the Fair Labor Standards Act (“FLSA”). Indeed, DOL estimates that as many as 21.4 million currently exempt workers may be impacted. The FLSA guarantees a minimum wage and overtime pay at a rate of not less than one and one-half times the employee’s regular rate for hours worked over 40 in a workweek. Congress first enacted the FLSA in 1938 as a way to encourage employers to hire more workers, rather than overworking a smaller workforce. Enforcement of the overtime requirement tends to increase the number of jobs. There are a number of exemptions, however. The most common exemptions from minimum wage and overtime pay are those for executive, administrative, professional, outside sales, and computer employees—otherwise referred to as the “white collar exemptions.” The last change to these regulations was in 2004. Currently, to qualify for exemption, employees must meet certain minimum tests related to their primary job duties and be paid not less than $455 per week or $23,660 for a full-year. The white collar exemptions do not apply to employees earning less than $23,660 annually, manual laborers, police officers, firefighters, paramedics, and other similar public safety personnel. Also, employees earning at least $100,000 in annual salary, commission and non-discretionary bonuses are exempt from the FLSA’s minimum wage and overtime requirements if the employees perform one or more duties of an exempt executive, administrative or professional employee. Because these regulations are outdated and leave millions of Americans without overtime and minimum wage protections, on March 13, 2014, President Obama issued a directive to the DOL to modernize and streamline the existing overtime regulations for executive, administrative, professional outside sales, and computer employees. On July 6, 2015, DOL issued a proposed rule. As DOL stated on its website, “a convenience store manager, fast food assistant manager, or some office workers may be expected to work 50 or 60 hours a week or more, making less than the poverty level for a family of four, and not receive a dime of overtime pay. [This] proposed regulation is a critical first step toward ensuring that hard-working Americans are compensated fairly and have a chance to get ahead.” DOL received more than 250,000 comments on the proposed rule before the September deadline. Under the proposed rule, the eligibility ceiling for overtime pay would rise from $455 per week or $23,660 per year, to $970 per week or $50,440 per year—more than double the current amount. These new amounts reflect the 40th percentile of weekly earnings for full-time salaried workers in 2016. DOL estimates that the proposed changes would extend minimum wage and overtime protections to nearly 5 million workers within the first year of implementation. These workers would either need to be reclassified as non-exempt and paid overtime, or receive an increase in their salary to meet the new minimum threshold requirement. The highly compensated employee threshold will also climb. The total annual compensation requirement would jump from $100,000 to $122,148, or the 90th percentile of salaried workers’ weekly earnings. Also, for the first time ever, the salary thresholds would be subject to an automatic annual adjustment that will be tied to the 40th and 90th percentiles of earnings, or adjusted for inflation according to the Consumer Price Index. The rush for the final rule may be due to the Congressional Review Act, which gives Congress 60 legislative days to review any major new regulation before it takes effect. If Congress dislikes the regulation, it can nullify it with a resolution of disapproval. Ordinarily that doesn’t pose much threat to a sitting president, since he or she can always veto the resolution. However, if a rule is submitted to Congress with less than 60 session days remaining, then the next Congress will have a similar 60-day period to consider the rule. If the final rule misses the 60th day, then the new president may let the resolution of disapproval stand. Given this year’s legislative calendar, any regulation issued after May 19 risks reversal under a Donald Trump, Ted Cruz, or John Kasich administration. While there is still time, employers should review their current workforce classifications and assess whether there is a need for reclassification. Employers also need to consider the potential payroll implications for 2016. One option, for example, is to increase exempt employee salaries to meet the new threshold to retain the overtime exemption. Another option is to simply change the status of an employee to non-exempt and pay him or her overtime. For more information on how the overtime rule changes may impact you or your business, please contact us at Kalijarvi Chuzi Newman & Fitch. PreviousDo You Take These Employees in Sickness and in Health?